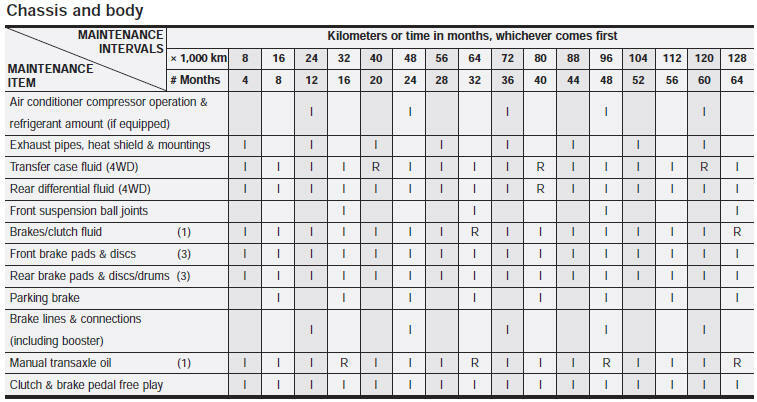 Chart symbols: I- Inspect these items and their related parts. If necessary, correct, clean, refill, adjust of replace. R- Replace or change L- Lubricate. 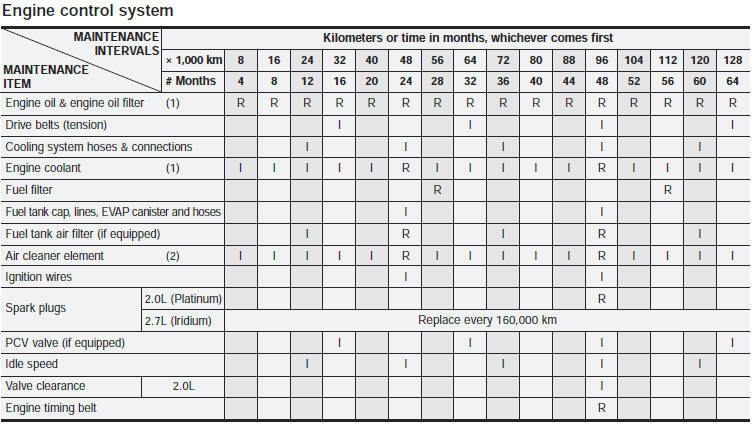 (1) Refer to the lubricant and coolant specifications in the Owner’s Manual. (2) More frequent maintenance is required if driving under dusty conditions. (3) More frequent maintenance is required if the vehicle is operated under any of the following conditions: a. Short-distance driving. b. Driving on dusty roads. c. Extensive idling or slow-speed driving in stop-and-go traffic. (4) If necessary, rotate and balance the wheels. * Note: Check the engine oil and coolant levels every week.